What made SRE magical was the number of people who were playing at the time I encountered it. These games were not meant to be played solo; they were meant to be social experiences as you tried to dominate other players and build the mightiest empire. 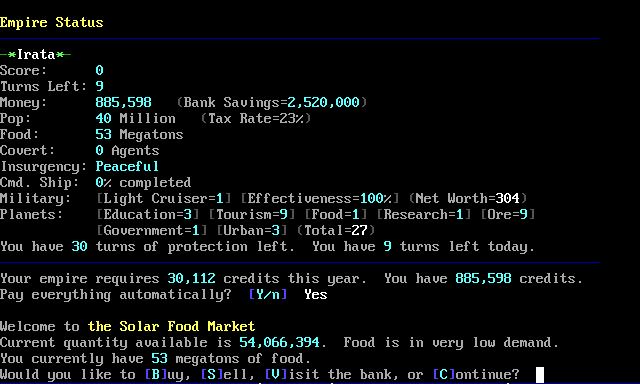 And when I began playing, SRE was a popular game available on the most popular BBS platforms at the time.